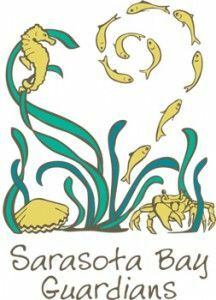 The Sarasota Bay Estuary Program would like to recognize the Bay Guardians for their hard work and dedication at the inaugural Sarasota Bay Water Festival on November 17th. This will be a fun opportunity to socialize with fellow Bay Guardians from the Manatee and Sarasota areas. The Bay Guardians are also invited to meet at 10am at the Sarasota Bay Estuary Program booth during the Water Festival to participate in creating monofilament recycling containers donated by the "Stow It-Don't Throw It" project for distribution to local fishermen and boaters. Wear your Bay Guardians t-shirts and enjoy the Water Festival, a free event from 9am-5pm, and great for all ages. For more details, visit the Sarasota Bay Water Festival website. SBEP will be recognizing the Bay Guardians, so please wear your Bay Guardians t-shirts! To sign up to volunteer or for additional questions, contact Sara Kane: sara@sarasotabay.org, 941-955-8085.